Access your iDisk's files on the go! Many apps have added the ability to connect to your iDisk – if you're a MobileMe subscriber – and the public folders of other MobileMe members, but this is Apple's own, so is it any good? 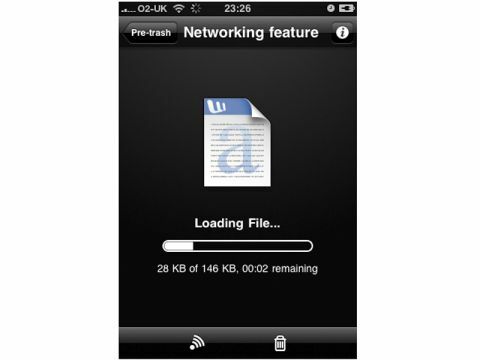 The bottom line is, if you just want an app to browse your files – and preview many file types, including Word and Excel documents – then this app is great. It's slick, simple to use, and lets you share these files with others by sending out an email with a link that can be password protected. Still, you can't filter the list, edit the files, attach them to an email (rather than just sending a link) or use it to upload files – a limitation of the whole operating system really, rather than this application itself – or even move files into folders.